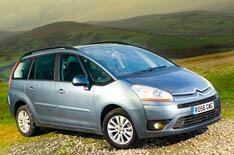 Citroen C4 Picasso now cheaper to run | What Car? Diesel versions of Citroen's C4 Picasso and Grand Picasso are now cheaper to run, following recent engine upgrades. Average fuel economy of the manual 1.6-litre HDi model has improved by almost 4% to 53.3mpg, while CO2 emissions have dropped by 5g/km to 140g/km. The figures are better for the EGS semi-automatic version, with fuel economy at 55.4mpg and emissions of just 135g/km. Cars with the 2.0-litre HDi engine get a small improvement in economy and a 2g/km reduction in CO2 emissions so average economy is 48.7mpg and CO2 output is 153g/km. All the adjusted cars sit in a lower company car tax bracket than before, while the first-year road tax for 1.6 manual diesels will be only 110.